Get ready to be a better vampire! By Night Studios proudly announces: Mind's Eye Theatre: Vampire The Masquerade Volume 2. This sequel to the groundbreaking MET: Vampire is designed to support and expand the base game with additional settings, new powers, enhanced status and influence rules. Watch for our Kickstarter campaign this fall. Following the By Night tradition, we’ll release slices for playtesting throughout the development process, and we’ll preview the first slice as part of Blood & Betrayal 4 at Tampa by Night in September! MET: Vampire 2 is expected to ship in the spring of 2018. The Grand Masquerade returns to New Orleans from September 1st – 5th, 2016! Celebrate 25 years of the World of Darkness with White Wolf and By Night Studios at the Astor Crowne Plaza in the historic French Quarter. We are taking advantage of Labor Day weekend to provide an extra FULL day of event programming on 9/4, culminating in a Succubus Club event you won’t want to miss. Join us this September for the event of your unlife. 2015 Reflections – What the Hell Did We Learn Anyway? Hello backers, friends, fans, passionate gamers, lifelong LARPers, newbies, and the rest of our vibrant community! 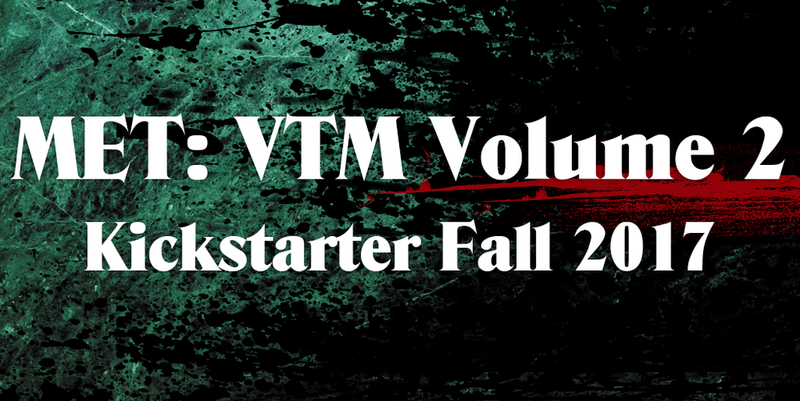 While we are winding down the year and the VtM Kickstarter, as well as gearing up for 2016 and Werewolf, we wanted to reflect on what we’ve done and learned. It’s been a long and sometimes painful process publishing our first core book and supplements. We want to say again how thankful we are for everyone’s support and patience. We really could not have done all this without you! Run 3 massive playtests in Los Angeles and Las Vegas, where upwards of 300 people per game helped us develop not just the mechanics but the actual story of the World of Darkness. Received and read over 1000 pieces of feedback from the community. Thank you! Grown from 5 people on Skype talking about publishing Mind’s Eye Theatre products again to a vibrant community of players all across the world. There are almost 10,000 people on the By Night Studios Facebook page alone! Thank you! Doing all of this was only possible through the passion of our community and support of the backers that funded us. While our products are intended for eventual consumer publication, we simply would not be able to print them without the funding of our Kickstarter backers. You helped us realize our crazy dream of revitalizing a game we love. And now we have the chance to do it again with another beloved game line – but not without some reflection. DO LESS – With MET: Vampire, we tried to do way too much and it delayed our publication schedule – especially with the unforeseen setbacks, medical emergencies, printer meltdowns, and other associated problems that come with publishing a book. This time around, we have scaled back the number of things we are going to offer during our MET: Werewolf kickstarter to only what we know we can publish in 2016. We will not be doing two separate art styles nor will there be a deluxe version of the book. We are working in a new way with international translators and publishers to complete the translations of MET: Vampire, and to bring future products to international customers more efficiently. The Portuguese and Italian version of MET: Vampire will be the first products of this new publication process. We are only publishing one supplement for MET: Werewolf instead of three. Our stretch goals mostly tackle additional development for the core book instead of additional, separate books. All of these changes ensure we can hit our deadlines. MET: Vampire was our first product, which meant we guesstimated delivery times. Now, we have solid data that we can plan from and allow us to be effective and efficient in our process. COMMUNICATE MORE – When we first kicked off the project, we planned bi-weekly developer diary videos, daily email updates, and previews of the work raining from the sky at all hours. Needless to say, that was far too ambitious. This time, we have worked out ways to communicate with our backers and customers that aren’t so labor intensive. Instead of trying to do video diaries, we plan to use blogs to talk about our work. Instead of a flood of email updates and then silence, we planned a more regular cadence so we always have something new and interesting to talk about. Our preview slices have been worked into our development process now more than ever. Our previews are meant to help us ‘playtest with the whole world‘. Our community is a part of our development process in the most meaningful way we can possibly ensure, allowing us to make a better product based on your feedback. START SOONER – With MET: Vampire, we went from zero to Kickstarter in about five months. This time around, there is no secret tomb we are emerging from. We have been howling loudly and proudly about our intentions to tackle Werewolf: The Apocalypse almost since we published the first run of Vampire books. We have published 3 playtest slices since we started development. This has allowed us much more time to work and to interact with our community. Our book is much closer to publication ready than it was during the Vampire kickstarter, which has given us more time to release preview slices for community feedback. We also have MET: Vampire out in the wild, with two years of troupe and club play to help inform our process this time around. When you tell us what you love (and hate) about our products, we listen. Then we take that feedback and strive to get better. Okay, everyone get their obligatory Buzz Lightyear jokes in… Ready? With Paradox Interactive’s acquisition of White Wolf and their intentions to build White Wolf and the World of Darkness into one unified world, the time could not be better to be a WoD fan! We are honored to be working closely with White Wolf’s lead Storyteller Martin Ericsson on key elements of the story and metaplot for Mind’s Eye Theatre: Werewolf The Apocalypse. This book is the first step into that dark and thrilling night. MET: Vampire was our firstborn, with all the uncertainty that any new parent can tell you about. MET: Werewolf has all the benefits of that hard-won knowledge but it is its own unique beast. We are treating it with the reverence it deserves as we work to bring about the return of the World of Darkness. We are going to take what we learned from MET: Vampire and publish smarter, faster, and more efficiently. Now is the time for the Garou to stand tall and proud. This essay appeared originally in Mind’s Eye Theatre: Vampire The Masquerade Storyteller Secrets, a collection of original essays, guidance, design notes, advice, how-tos, recommendations and, yes, secrets to help Storytellers of Mind’s Eye Theatre. But it’s not specifically about VTM—the essay discusses a core philosophy, the Economy of Cool, that underpins all By Night Studios game development, including our newest effort, MET: Werewolf the Apocalypse. Roleplaying and rules are often thought of as diametrically opposed forces. Some players hate it when their roleplay is interrupted for the purpose of throwing tests or using mechanical effects. Others feel that the mathematical and tactical challenge of rules is more exciting (and more “fair”) than relying on dramatics. A great LARP must strike a balance between the two. The best game systems are those in which rules support and reinforce roleplaying and the story of the setting. This theory can be seen in the mechanical composition of the Mind’s Eye Theatre: Vampire The Masquerade (MET:VTM) system. . Imagine that the rules are a glass of water. The glass provides structure and organization. Story is the liquid that fills the glass. It is the reason the glass exists, and yet it is shaped and formed by it. Rules should support roleplay; roleplay should build from (not be hampered by) the rules. This essay covers how we designed the rules and the story to work together to produce the best possible game system and personal roleplaying opportunities. So, why are rules important? If a chronicle is run by a good Storyteller, the game will be fun even if the system is terrible. On its surface, this is a fine argument, but in truth, a poorly created rules set causes a number of subtle problems. These issues wear down even the best Storytellers, deeply affect player trust, and can eventually ruin a chronicle. Storyteller Workload: Every time the rules fail, a Storyteller must solve the initial problem, create a rules-fix, maintain any precedents created, and keep careful track of adjudications and systems additions. This burden becomes exponentially difficult in a large or long-running chronicle. If a Storyteller is constantly dealing with such issues, it is difficult to allocate time to devising plots, encouraging character development, or running stories. Limited Game Size: A poorly written or badly balanced system requires a large number of Storytellers per capita. These volunteers are needed to judge ongoing issues or educate new players about “house rules.” This situation requires more and more players to volunteer their time shepherding the rules rather than playing the game. Player Trust: Even if a Storyteller works diligently to maintain rules balance, it is inevitable that difficulties, arguments, and simple errors will occur. With an unbalanced core system, Storytellers must constantly put a strain on player trust, hoping that each new change or addition to the rules will be seen as impartial and fair. Even if the Storyteller has the best motives, constant mechanical alterations will cause accusations of bias or cronyism, driving players away from the game. A good Storyteller can build a fun game on an unstable foundation, but imagine how amazing that chronicle could be if that Storyteller built the chronicle on a solid and balanced set of rules! A strong mechanical base allows a Storyteller to keep her focus on stories, rather than bureaucratic minutia, accusations of mistrust, or constant rules arguments. Although no rules system is perfect, the MET: VTM mechanics are designed to be as reliable and balanced as possible. It was playtested in massively populous, interconnected chronicles and also by smaller, independent troupe games. Design choices were made to facilitate Storytelling and to make the game easy to learn and easy to run. To understand the game’s mechanical design, it’s important to explain a few of the design pillars inherent to the system. Merits vs. Experience: A character’s power level in MET: VTM is represented by experience points, used to purchase powers, abilities, and other advantages that give the character an “edge.” In this manner, characters that have survived many games have more experience points and are more powerful than newly created characters. Merits, on the other hand, are universally limited to seven points, no matter how new or how senior the character in question. This double-pronged system of advancement rewards older characters by assuring them a breadth of purchased items, while allowing new characters the opportunity to be useful and distinct from their first night in game by purchasing an unusual merit. A player whose character has navigated many dangers and seen many victories is rewarded for those accomplishments. However, a recently made character must not feel entirely outgunned, otherwise new players (and experienced players replacing initial characters) will have no incentive to join a game in media res. Both systems, and their limitations, are necessary. Only Important Tests: With very few exceptions, tests to activate powers or rituals are only necessary if the mechanic targets another character. If a player spends hard-earned experience to purchase a power or ritual, she should to be able to rely on that item’s basic functionality. Performing tests every time a character wants to use a power on herself is needlessly time consuming, and wasting resources (Blood or otherwise) on an item that randomly fails to activate simply isn’t fun. Don’t Waste the Storyteller’s Time: The MET: VTM rules are designed to be self-sufficient and not require the constant attention of a Storyteller. Storytellers have a lot to do at game and cannot constantly pay attention to every power activation or ability use. A Storyteller can roleplay a character’s Nightmare flaw if it is a plot point or creates an important character moment, but merits, flaws, and powers she should impactful even if the Storyteller doesn’t have time to throw pre-game challenges with everyone. Rules Enforce Theme: Brujah are described in story as being very loyal to one another; therefore, their clan’s 1-point merit offers an advantage when they fight as a group. Nosferatu are described as information-gatherers and spies; therefore, Nosferatu merits and powers help them perform such functions in game. Offering advantages to characters that reinforce story-based themes will encourage players to portray those archetypes, while still allowing non-stereotypical characters to exist (though they may be less efficient) for the purposes of roleplay. Whether handling an independent troupe game or a massive international chronicle, every Storyteller runs things a little differently, and every game has unique requirements. The MET: VTM system provides a mechanical base, but it is also designed to allow Storyteller customization to meet the needs of her specific chronicle. You can see this flexibility in the various settings described in the core book (Anarch, Camarilla, and Sabbat), which add custom items and limited systems additions or changes. Through creating a setting document, Storytellers can tailor the base systems of MET: VTM to the needs of their chronicles. The settings in the base book flesh out the traditional Vampire: The Masquerade environments and provide templates for Storytellers who want to integrate custom systems appropriate to a chronicle’s theme and storyline. Still, before adding new mechanics or changing inherent systems, a Storyteller should carefully consider the possible pitfalls. Game Balance: Each time a Storyteller adds, subtracts, or changes the rules, she alters the fundamental game balance and impacts the play environment. If diablerie becomes easier or more rewarding, more players will choose to diablerize. Therefore, the game’s player-versus-player conflicts will potentially increase, as players seek to exploit those new rules. Like water rolling downhill, players will typically follow the course of least resistance (or greatest efficiency). Be sure to plan for the storyline and roleplay consequences of any mechanical change. Barrier to Entry: Most new players learn a new system by reading the published books. When they arrive at a game, they expect the rules to be familiar. It is difficult for players to remember custom rules, particularly when they must memorize an entire compendium of changes or additions. With each alteration, the Storyteller makes it more difficult for new players to join her chronicle. If changes are truly necessary for your story, make sure that each one is well thought out and easy to understand, and be sure new players are made aware of these changes (and are given a printed copy). Perception and Trust: Player perception can be as important as game balance. By allowing some players access to an item, but disallowing others from buying it, a Storyteller can be perceived as having a bias even if her motives are pure. It is better to raise costs, but keep the item available for purchase by all players, if you wish to limit an item’s rarity in your game. Custom rules can be powerful tools to make a chronicle feel distinct, but used unwisely, such items can raise the barrier to entry and create serious game imbalances. Before you create custom systems, make sure they are necessary and impactful. If possible, Storytellers should rename or add distinct story changes to existing systems and items, rather than creating something entirely new. Perhaps the Black Hand in your game is an order of Seraphim; perhaps all vampires take aggravated damage from gold. Such changes have minimal impact on the rules, but can provide a distinctly unique feel to a chronicle. Mechanics that are restricted to a particular group (such as clan or setting-specific merits) are intended to define the stereotypes of that group. Allowing characters outside that group to possess such items will cause significant imbalances, especially if only a few characters (Sabbat refugees, perhaps) are allowed to purchase those mechanics. No matter how compelling a character’s background or history, this kind of unequal access will imbalance the game and create a strong perception of Storyteller favoritism. That said, we can offer a few suggestions for Storytellers who find customization necessary. Once you understand the pillars of rules design, you’ll be much more confident tweaking things for your chronicle’s needs! The MET:VTM system of attribute dots allows characters to begin with an equal foundation. As the character spends experience (initial or earned), the system offers the player concrete choices that will specialize the character, making it better at certain tests or in distinct situations. Bonus attribute dots are granted with the purchase of Generation, providing a tangible benefit to that background, which are carefully balanced against the experience cost of techniques, skills, and elder powers (among other things). This system touches every opposed test between two characters, determining victory and offering advantage if one character has a significantly higher attribute. Choice: By allowing players to decide where to place bonus attributes, the system allows for a Neonate to potentially defeat an Elder in an attribute comparison—depending on the relative allocations. Players can choose for their characters to be utterly focused in a single attribute, or to create a well-rounded attribute set. Alliances: MET: VTM utilizes a thematic rock-paper-scissors randomizer for more than just throwing and resolving challenges. Different character types (and different powers) work better against some targets and less well against others, giving items both strengths and weaknesses. Attributes figure into this balance strongly. Because a single character cannot have a completely maximized attribute in all three categories, alliances are necessary in order to “cover all the bases.” Creating (and betraying) alliances is a critical part of a MET:VTM game; no character should be able to stand alone or the game loses a critical aspect of interpersonal connection and reliance. Additional Attribute Bonuses: A Storyteller could provide a different number of bonus dots per Generation. For example, a Storyteller might give two bonus attributes instead of one. This change would create a play environment where Elders are significantly more powerful than Neonates. Before you make this change, plan for a larger percentage of your player base to gravitate towards the Elder generation in order to capitalize on this mechanical advantage. Removing Attribute Bonuses: Another potential setting option is to remove all attribute bonuses, so that all vampires (regardless of Generation) have a maximum of 10 in each attribute category. In this scenario, merits like Skill Aptitude become much more powerful, and players will be more inclined to portray Neonates or Ancilla. The merit system may be Mind’s Eye Theatre: Vampire The Masquerade’s most important cornerstone. Altering the cost of merits and flaws (or creating new ones) can provide a great deal of customization, defining a setting’s unique distinctions. However, because the merit system is so integral to the balance of the rules, altering the system itself or raising the merit cap can cause significant problems. Merits are carefully balanced in cost, ensuring that no character can possess two 4-point items. Further, the merit cap of seven points is built into the system to ensure that characters must make choices and that no single individual can possess all of a clan’s stereotypical advantages (thus letting everyone be distinct and useful). Lastly, maintaining a strict merit cap helps new players feel that they can contribute in a unique manner from their very first game, providing small advantages not possessed by even the most long-played characters in the chronicle. Balance: Merits are specifically designed to be more powerful than an ability or discipline with a similar point-cost. A 4-point merit may provide an advantage equal to the expenditure of 20-30 experience. Raising the merit cap allows players to buy even more of the most efficient mechanics in game, and that can significantly skew game balance. Clan Archetype: Clan and setting-specific merits outline that clan’s major story themes and stereotypes. Ventrue merits encourage those characters to interact with the mortal world of influences and retainers, and so forth. These merits support the stereotypical image of that clan. Sense of Fair Play: Portraying a member of a rare clan or unusual bloodline is innately powerful. Such a character has access to unique disciplines and merits, and even if those abilities are not overpowering in themselves, their rarity will create tactical advantages. Rarity merits ensure that other players know that anyone could play the same character type, provided they were willing to spend their limited merit points in the same way. Unilateral: Providing all characters a single flavorful merit for free (all vampires in this chronicle have one Acute Sense), or requiring that all characters take certain flaws (all vampires in this chronicle have catlike eyes, and must take the Eerie Presence), can be a very good tool to alter the feel of a chronicle. By utilizing the merit system in this way, a Storyteller can promote unusual aspects of her setting without unbalancing the game’s mechanics. Sub-Organizations: Some merits define subgroups like the Black Hand, Josian Archons, or legendary Anarch heroes. These sub-organization merits provide special background items with minimal mechanics. Merits can indicate that a character participated in a decisive battle, manipulated or mentored a famous kine, or performed some unique duty for her sect. Because players must choose to spend their limited merit points on these background highlights, story items such as these can be fairly rare (and very prestigious). Flavor: A Storyteller could use the preexisting cost and mechanics for a merit, rewriting only the flavor of that item to make it feel more appropriate for her chronicle. This can allow a significant amount of customization without impacting game balance. Custom Mechanical Merits: If the Storyteller wishes to create merits unique to her chronicle, these new merits must be made available to all players at character creation, or there will be the perception of bias. The best way to point-cost a merit is to overestimate; if players look at the merit and say dubiously, “I’m not sure if that merit is really worth X points,” then you’ve correctly estimated the cost. Players should feel as if they’re making a difficult choice, and it’s better to adjust a merit’s cost downwards rather than upwards if you later feel you have incorrectly evaluated the item’s capacity. Skills and backgrounds provide a great deal of flavor, helping players flesh out character histories as well as prodigal talents a character possesses. Fields of study further reveal a character’s interests and occupations. Backgrounds detail a great many aspects of a character’s interaction with the mortal world, and these items can help a Storyteller can flesh out the environment of her game. Limited in Number: VTM’s skill list is deliberately limited. This is to ensure that players and Storytellers don’t have to memorize long lists of obscure items, and also because each skill now provides minor mechanical benefits—benefits that can add up very quickly! Rather than creating a new skill, try offering new uses for existing ones, expanding the scope without increasing the overall number. Breadth vs. Specialization: A character with many skills at low levels will have access to a significant number of minor mechanics, providing a great deal of utility. A character that instead specializes in a few skills and purchases them to maximum levels will have an advantage when using those skills in static and opposed challenges (both offensively and defensively). Fields of Study: Creating a list of specific fields of study for preexisting skills can help a Storyteller portray the scope of her game. For a chronicle set in Rome or the Dark Ages, a list of fields of study such as Herbalism (under Medicine) or Cavalry Tactics (under Leadership) might help players grasp the feel of the chronicle and tune their characters to that theme. Specialized Backgrounds: Storytellers can highlight a particular background by allowing players to choose from a list of minor bonuses each time they purchase a dot. The Haven background is a good template for this type of enhancement. Elder powers are static things, created by ancient and powerful vampires over centuries of research. Techniques, on the other hand, are idiosyncrasies, formulated (or stumbled upon) by thin-blooded vampires (usually Caitiff). Players commonly ask the Storyteller to allow custom powers, justifying an item’s creation with a character’s “long history of study” or “strange mix of disciplines.” Storytellers should be aware that custom powers and techniques can significantly imbalance a chronicle, both because of the new item’s power level and simply because the item is tactically unusual. Further, custom powers can become cartoonish and feel out of place within the gothic-punk theme of the game, harming immersion and roleplay. Lastly, allowing some players to create custom powers can make a Storyteller appear biased, providing one player access to an item that others cannot purchase (even if they otherwise meet the requirements). It is better for a Storyteller to give the power a visual or theme-based customization without changing the mechanics, if there is a genuine need. Too Much Shiny: Don’t allow players to make custom powers involving the disciplines of rare clans and bloodlines. Those unusual character types already have an advantage. If the chronicle is genuinely in need of a unique item, that item should be accessible to the largest majority of characters. Transparency: Publish any custom rules in your settings document, and make sure that all players are aware of the item’s capabilities out-of-character. This may lessen the feeling that the item is a “neat surprise” for the creator, but it will go far toward ensuring that other players understand the item’s limits (though their characters do not), and maintaining Storyteller trust from the rest of the player base. Change the Feel: Storytellers can give already-existing powers a visual or theme-based customization without changing the mechanics, if there is a genuine need. A character or NPC that is intended to be “spooky” may use the mechanics of the Thaumaturgical Path of Weather Control, but the visuals may depict the effects of haunted house rather than environmental anomalies. Requirements: A Storyteller who wishes to incorporate a certain technique or elder power more broadly in her campaign might alter the requirements of the preexisting power. If your chronicle requires all vampires to potentially teleport through shadows, the Storyteller might give the elder power Shadowstep an appropriate experience cost and make it available for purchase by all characters. So long as the power is openly accessible, game balance will be generally maintained. The status system is specifically designed to promote the ideals and tenets of a specific sect of vampires within the setting, providing in-character punishments to characters who do not properly adhere to the sect’s social doctrines (even the hypocritical ones), and rewarding those who are willing to promote those ideals or support the sect hierarchy. Giving status (or imposing a new status ban) allows a Storyteller to communicate and enforce vampire society’s ideal of “appropriate” and “inappropriate” behavior. Discourage Collectors: The core of the status system is in the flow of earning and spending status. Characters should be encouraged to maintain a fairly constant flow of temporary status, not to hoard an accumulation in order to have “the most.” A character’s number is not important; it’s the use of status, and how it alters political situations, which makes these mechanics meaningful. Spending and regaining status is an important tool to encourage players to roleplay, making them actively create and maintain alliances. Storytellers should avoid giving weight to the number of status traits a character possesses, because this will cause the status system to stagnate. Status Bans: A sect’s status bans help enforce a sect’s views in the social setting of a chronicle. If a sect places a ban on the possession of certain merits, disciplines, or backgrounds, it sends a strong statement about that sect’s ideals, values, and fears. Adding or removing status bans during the course of a chronicle is a way to show that leadership is changing hands or to indicate that powerful vampiric authorities are paying attention. In-Character Prejudice: Many of Vampire: The Masquerade’s themes revolve around prejudices and bigotry (such a hatred of Caitiff in the Camarilla setting), but responsible players have difficulty portraying these prejudices, especially if it means avoiding fun roleplay or treating a friend’s character badly. To help with this, Storytellers can build setting-appropriate bigotry into a chronicle’s status system. Such bans might include limiting certain status traits to “acceptable” character types or allowing the expenditure of other traits to only affect “disreputable” clans or bloodlines. This kind of customization helps players portray the setting’s bigotry and prejudice, supporting players who are trying to play to these biases without actually asking them to be mean to their friends. When players provide exceptional roleplay, solve extremely difficult tangles in creative ways, mentor new visitors or otherwise provide a tangible service to a chronicle, it’s a wonderful idea to reward them for that effort. However, giving extra experience (or allowing a character’s experience total for the month to go over the game’s general cap) can cause an imbalance in the game’s power scale. An involvement chip, useable to insert your character into one scene that she would not otherwise have access to (assuming that scene has no possibility of player vs. player conflict). The ability to make customizations to a game system is the privilege of the chronicle’s Storyteller. A Storyteller can alter the flavor description of items, increase or decrease cost, or otherwise modify the systems in her Setting Style Document as is appropriate for her chronicle. However, altering foundational mechanics can cause a game system to fail, resulting in more work for the Storyteller or in significant player discontent. Be cautious about such alterations, and always keep in mind what’s best for your entire game, not just the interests of a few players. Good luck! Storyteller Secrets is available as a downloadable PDF here. This essay appeared originally in Mind’s Eye Theatre: Vampire The Masquerade Storyteller Secrets, a collection of original essays, guidance, design notes, advice, how-tos, recommendations and, yes, secrets to help Storytellers of Mind’s Eye Theatre. But it’s not specifically about VTM—the essay discusses a core philosophy, the Economy of Cool, that underpins all By Night Studios game development, including our newest effort, MET: Werewolf the Apocalypse. You can purchase your copy of the full book here. A thriving economy revolves round the tension between the scarcity of goods and services versus the demand for them. Many LARPs share a common fallacy—assuming that game economy is based on the earning and spending of XP and the gaining of additional power. This misconception is shaped by an unconscious acceptance of the Hero’s Journey trope. Coined by Joseph Campbell in his legendary book “The Hero with a Thousand Faces,” the theory of the Monomyth opines that important myths from around the worldhave shared a common default structure for thousands of years. Traditional roleplaying games tend to strictly follow this narrative structure. Imagine a thrilling gaming session about a callow youth who unexpectedly receives a strange call to adventure from a wise mentor who will show him the wonders of the universe. The hero endures increasingly dangerous tasks and trials to prove his worth, until he masters his destiny to achieve a decisive victory against evil. Should the hero survive, he is offered a choice to return to the mortal world with special insight or to improve the world with what he has learned. This archetypical story could have been inspired by the tragic tale of King Arthur, the cunning legend of Odysseus, or perhaps the adventure of Sinbad the Sailor. Or from a modern perspective, this story can be seen reflected in many recent classics, such as Star Wars, Lord of the Rings, or the Matrix. The perspective of the Hero’s Journey presumes the fundamental story is about the adventure and evolution of the title character. This narrow focus unconsciously encourages selfish, and sometimes destructive, behavior from players as they begin to see their own character as the most important and all other characters as less important. This mentality results in hyper-aggressive behavior and an obsession with XP as the metric by which the game measures progress and success. Players in a Mind’s Eye Theatre: Vampire The Masquerade game do not directly compete with each other to earn XP. Earning XP is not a zero-sum game; the XP gained by one player does not detract from other players’ earnings. All players who attend a game have the innate potential to earn the maximum XP. Characters in networked games may have a cap to balance out monthly XP earnings across multiple games. However, clever players can earn extra XP for games that they have missed via downtime scenes, background reports, or email roleplaying, with Storyteller approval. A LARP is an organized social contract designed to provide enjoyment to every player involved. If the LARP is a stage, then the hidden economy of the game environment is time on center-stage. In this system, all of the LARP’s players are consumers and producers of that unknowable quality known as cool. Some players with natural charisma and force of personality seem to always create interesting characters that become magnets for the spotlight. Other players discover that their characters fizzle stillborn despite an extensive history and powerful character sheet. The answer lies within the subtle dance of the Economy of Cool. The basic principle of the Economy of Cool is that there is a finite level of cool in any given moment in a game. Players naturally accrue social cool points over time, and the investment of said cool points can determine how well they do in the game and, more importantly, how much fun they have. Poets have argued and debated for centuries about two aspects of the human condition: love and the ephemeral nature of cool. For the purpose of this essay, cool is defined as the ability to partake and share in the story of the LARP in such a way that it is fun and interesting for the people involved. Mind’s Eye Theatre: Vampire The Masquerade provides the Storyteller with an easy means of moderating the Economy of Cool via the merit system. Previous editions of Mind’s Eye Theatre used merits as simple advantages that a player could purchase to add flavor to a character. By limiting players to only 7 points total in merits, MET: VTM leverages the Economy of Cool, forcing players to make fundamental decisions about the nature of their characters. The limitation on merits forces the players to make essential choices about their characters that forge memorable experiences and force them into the Economy of Cool. Prince Arthur is primed for leadership with his merits, but he will certainly need to lean on Merlin for advice and insight. This partnership will create opportunities for roleplaying and an economy of weaknesses and strengths. If Arthur’s player could simply buy those merits when he had the appropriate amount of XP, why would he need Merlin? By limiting the amount of cool in the game, the importance of both characters increases when the spotlight turns towards their individual strengths. The differentiation of merits allows characters to explore many different iterations of the same general concept. Many consider Lancelot to be the archetypical knight who eventually fails for daring to endulge in love. Percival seeks to use the framework of being a noble knight to pursue enlightenment, whereas Gawain seeks out adventure to test himself. Each of these knight concepts allow the players a unique means to roleplay together without overstepping onto each other’s concepts. For more information about the mechanics behind the costs of merits, see the essay “Roleplaying by the Numbers” in Storyteller Secrets. The expression “jumping the shark” describes the moment in a story when the original concept has been so diluted that it effectively becomes a parody of itself. The trope’s name was inspired by the ultimate King of Cool from my childhood. Can you guess who? Did you guess the Fonz from Happy Days? Correctamundo! In the early seasons of the television show “Happy Days,” the Fonz was part of the ensemble cast. This cat was cool. He defined cool. He could start a jukebox by punching it and summon forth hot girls by snapping his fingers. And yet, a good portion of his time was spent helping or being helped by the rest of the cast. Richie and his friends mingled with the cool guy. If this show was a LARP, you could argue that these characters went along on each other’s adventures. But, alas, the Fonz undermined the show when he jumped the shark. Suddenly, he could do everything all of the other characters could do, but better. He became a mechanic, a businessman, a school teacher, and family man. The other characters shrank away, and the economy of cool died. Why? The Fonz quit investing his cool. Richie was a nerd who owned his funky pre-hipster geekness. When the Fonz cared about his friend’s adventures, he invested cool points into his friend. This investiment was paid back, and the cool factor magnified both of them. The Fonz only became a joke later, when he forgot the first principle of the Economy of Cool: cool shared is cool magnified. Imagine that Prince Arthur from the previous example was able to keep purchasing merits with XP. He would quickly surpass the need for knights or mystical advisors. The rest of the troupe would eventually sit around and wait for Arthur to resolve every problem without getting involved. A Storyteller can leverage the existing rules to encourage her players to prime the well for the Economy of Cool. The accumulation of XP sometimes can be a problem when encouraging players to actively participate in the Economy of Cool. Aside from merits, a character can eventually acquire anything she wants via spending XP. Once she has attended a few games, she can spend her points on purchased like a pimped-out G-5, influences that control the police, or mastery of the Computer skill. If allowed to proceed unchecked, players can buy whatever they need at that moment, killing the Economy of Cool. Encourage your players to trade with other players in ways that acknowledge and share the cool, allowing others to shine. Imagine that a player wants her character to build and open a hot new nightclub during her downtime. She spends her saved XP on the Haven and Resources backgrounds, expends some influence and downtime actions, and then writes an interesting downtime report. Bam! The player created an instant nightclub, which failed to include anyone else and will likely be ignored by the rest of the troupe, because it isn’t real to them. What if the property was owned by the Ventrue primogen? What if the local Goodfellas needed to be properly motivated to ensure that there weren’t any “accidents?” What if the local underworld were controlled by the Giovanni? You can build a nightclub, but you can’t presume that the mortals will automatically attend it. What if the local Toreador have a lockdown on the hipster crowd within the city, and their blessing is required to build buzz for the club and help book the hip acts? Are there musician characters in the troupe? Imagine the synergetic relationship that could develop between the two characters as they form connections that share the spotlight. Is there an architect character in the troupe? Imagine how strong of a tie that player would feel to that club if he designed the building. What if the club owner hired some of the street- thug characters to make sure that criminals didn’t harass the patrons attending the club? A simple background story can entertain the entire troupe by encouraging a single player to include her fellow players. These players invest their own cool points into the story of their fellow players, making all of their characters feel more real and connected to the chronicle’s story. These players are going to remember and have an interest in that nightclub, and it will eventually become a common set piece for the chronicle. Slowly, that nightclub becomes a little bit more real as characters have meetings there and start to include it in their history and their roleplaying. Players often forget this important secret after they have experienced the thrill of Mind’s Eye Theatre: Vampire The Masquerade for a while. New players want to risk their sheets to experience the visceral danger of the game. They don’t want to be excluded from an adventure because their sheets may be more fragile than the veterans’. The worst thing that a Storyteller or a player can do to halt the Economy of Cool is to exclude new players to protect their characters. A coterie of combat ninjas might want to protect a new player from being horribly murdered by a Sabbat raid, but that really only isolates and disappoints players seeking to participate. Encourage your veteran combat players to bring new players along and to teach them the rules. By helping the new players, Storytellers and players help create and share stories. If a new player wants to be a poet or socialite, encourage a veteran to hire him to be a herald. If a new player wants to be a bodyguard, encourage a veteran to hire her, even if she doesn’t really need protection. If a veteran is planning an important meeting, encourage her to take along a new player. Imagine a hoary elder teaching a neonate the art of politics and war. Allow the new player to witness and understand the dynamics of the moment. Explain your complex political and social games to the new player, so that he might understand that level of the game. Occasionally, this method will backfire, and said new player will betray the veteran, but that’s good for the drama of the game. Help place new players into the thick of the story by encouraging them to create neonate pawns for one of the local elders. Ask the elder players to pit their neonate pawns against their rival’s neonates. This scenario allows new players to test themselves against other players of similar experience. Encouraging the veteran players to recruit new players into their lineages invests in new players and injects more cool points in the future of the chronicle. Elder and veteran players have a responsibility to watch out for the health of the game. Storytellers should monitor the flow of the Economy of Cool, and if a single player is hoarding the cool and abusing new players, you have a responsibility to get involved and stop it. Every situation is going to be unique. Don’t be afraid to talk to players and see how they feel. Viewed from a certain perspective, professional wrestling may be considered a type of LARP. Wrestlers take on personas and maintain the story by strictly staying in character. This method-acting is known as kayfabe, and a big component of it is selling the cool of the other wrestlers. If a wrestler’s story is that he was burned horribly and has returned from Hell to defeat his enemies, his opponents will flinch with fear when faux-hellfire fireworks light the arena. In MET: VTM, if a vampire has the flaw Eerie Presence, other characters should react to that flaw with fear and trepidation. Failing to sell this flaw will disappoint the flawed character’s player and discourage him from selling the interesting things about other characters. When a wrestler strikes another wrestler, it is expected that the faux-injured party will sell the strike to the audience, especially if it is a signature or finishing maneuver. In MET: VTM, if a vampire possesses Puissance (Potence 5), her targets should sell suffering through her attacks. This helps both players feel the intensity of the scene and makes the both of them experience the cool. Wrestlers generate interest, known as heat, via their feuds against their rivals. When a storyline has enthralled the audience, the wrestler strives to keep the heat alive for as long as possible to benefit both sides of the conflict. In MET: VTM, the trick is to capture the mindset of an immortal monster while fulfilling the needs of an excited gamer. Killing your enemies is a waste of an interesting story. This balance requires that both players agree to certain ground rules and maintain good conversation outside of play. It is hardly fair if one player is out for blood and the other player is seeking to extend the story. Wrestlers are expected to sell their feuds while avoiding the disruption of kayfabe. This involves attacking each other with violence, clever insults, and political dirty deeds while battling over a championship belt. Off stage, they are coworkers and collaborators trying to tell the best story they can for the audience. In MET: VTM, players should actively sell the pains of maneuvers in the jyhad. When the harpy tags a rival with the negative status Warned, both characters should play the scene to the hilt. Ignoring the power of status kills the scene’s energy and downplays the players’ contributions. Once the scene is over, the players should meet together and break kayfabe to congratulate each other. Occasionally, players might suffer through bleed, where the emotions of the scene and their characters linger in the consciousness. It is important to have a clean break, celebrate the story, and remind everyone that a game is a team effort and that in the end the health of the chronicle greatly depends upon a mosaic of characters. The Economy of Cool depends upon a spirit of cooperativeness and the players’ willingness to leverage their own self-enlightened interest to put the health of the game ahead of their own short term gains. When players freely share their personal cool with their fellows, they lift the spirits of everyone involved and increase the total fun of the entire chronicle. The return on the initial investment of effort and cooperation is infinite in terms of goodwill, chronicle growth, and the potential of future stories. The urge to win is strong in the gamer perspective. Our culture encourages us to master the game and achieve victory over our rivals. Society has trained us to think of excluding others as a form of control and power. The truth is that winning pales in comparison to sharing experiences. A short-term victory is a gilded cage that offers no real satisfaction. The real immortality is becoming part of a story that is told with bated breath by a player sharing her first experiences with Mind’s Eye Theatre: Vampire The Masquerade. Imagine your name spoken in whispers and your tale told at local greasy spoons for decades as an example of fun. In the end, isn’t that what we’re all looking for?